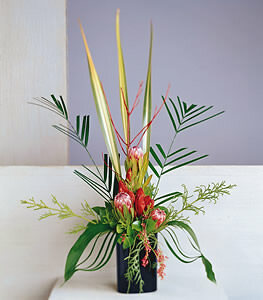 A memorable tropical design to capture time from the tropics, bold and contemporary use of red Amaryllis, Protea and luscious greens. Limited availability. This item may require at least 24 hours notice in some areas.